A Career Resource and Job Fair will be held at the Katahdin Higher Education Center on Wednesday, April 24th from 1pm-4pm to meet with local employers and apply for positions and possible on the spot interviews and also explore job training and higher educational opportunities from Eastern Maine Community College and The University of Maine at Augusta. The Career Fair is also open to the public and anyone seeking employment services or career services are encouraged to attend, from 2-4pm that day. Maine is facing a shortage of skilled employees in conjunction with an aging population. In addition, the number of high school graduates is continuing to decrease. Eastern Maine Community College, University of Maine at Augusta and Eastern Maine Development Corporation are committed to being leaders in developing strategies to increase the number of available high skilled graduates to address workforce issues in rural areas of Maine. Eastern Maine Community College, University of Maine at Augusta and Eastern Maine Development Corporation are excited to provide an opportunity for area youth, ages 16-24, to attend a career readiness event as well as a career resource fair at the Katahdin Higher Education Center, in East Millinocket, with the theme of aspiring to post-secondary training and/or employment. Young adults will be provided the tools and opportunity to design and develop a resume, hear what employers are looking for when they hire, learn about tools for a successful interview and meet with potential employers in the region as well as learn more about opportunities for job training and higher education. On Thursday and Friday, April 11th & 12th representatives from Katahdin Higher Education Center and EMDC will travel to local high schools and conduct career resources including resume writing workshops, highlighting successes and learning successful interview techniques as well as hearing more about what employers are looking for when they hire. The Katahdin Higher Education Center of EMCC and UMA is an off-campus center in the Katahdin Region where people can take courses, pursue degrees, and receive all the support they need to earn a degree close to home and on schedules that fit into their family and work lives. 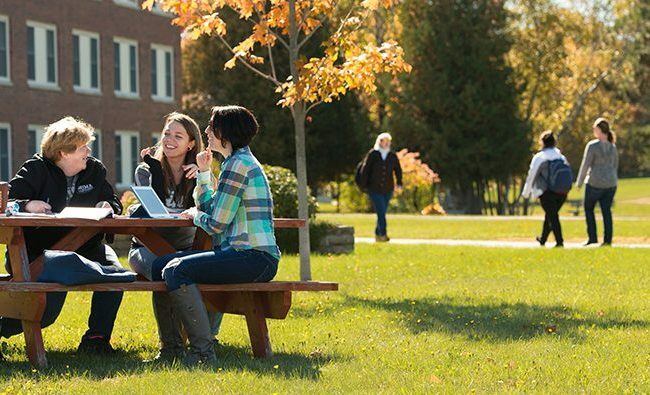 Eastern Maine Community College provides the highest quality post-secondary technical, career, and transfer education and serves as a dynamic community and economic development resource. Courses are available in various modalities along with academic advising, tutoring, study skills workshops, computer access, and library services. The Katahdin Region Higher Education Center is located at 1 Dirigo Drive East Millinocket. More information is available by calling 746-5741.